Michael Jackson remains to be one of the most iconic entertainers of our time. Its crazy to think how it's nearly 10 years since the King of Pop! passed away.Thriller Live acts as both a tribute and a celebration of his work, choreography, and personality that was so iconic spanning over four decades. I saw Thriller Live many years ago in the West End and the choreography, energy, and enthusiasm made for an enjoyable night at the theatre. The musical is now in its record breaking 6th year in the West End and is now adding a UK Tour to its trail of success. In just over two hours you are taken on a visual and audio journey through the magic of Michael's 45-year musical history. Gary Lloyd's choreography is fresh and funky from beginning to end. There's a definitive homage to some of the most historic, innovative dance moves of our time as well as the legendary live performances. The small cast works collectively to execute the entire production with flair, precision and an underlining passion needed to pull off such a production. Having such this production in the West End I was slightly disappointed that they hadn't been more emphasis on the Motown era, waiting for the Jackson 5-esque tribute to come on stage. I was greeted with 4 cast members in costumes which didn't fit the era and no sign of a 'young' Michael Jackson, instead, the 4 cast members do their best to portray the early era and a quick projection of the young Michael Jackson I was hoping for. The costumes throughout the musical for me personally were kind of off at times, with the girls dressed in costumes that didn't connect to the song for me. If you are a fan of the iconic soundtrack of Michael Jackson's music then the production definitely satisfies that. The lead vocalists executed the flare and style of Michael Jackson's distinct tone, Britt Quentin, especially who was a spit of a younger Michael Jackson. Rory Taylor was great at taking on the more Rock music Michael delivered in his career, his rendition of Dirty Diana was especially gorgeous. 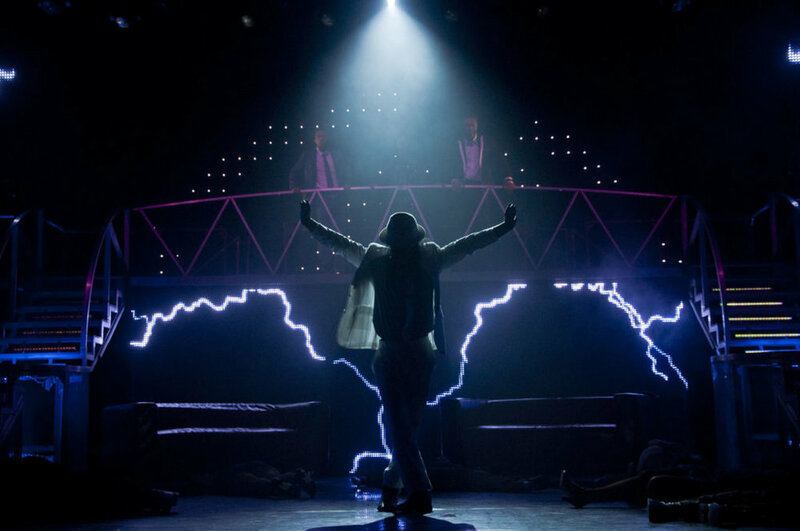 The live band and exceptional talent cast include some of our favourite songs including; The Way You Make Me Feel, Smooth Criminal, Beat It, Thriller to name a few. It was hard not to take notice of the audience members surrounding us who couldn't resist getting to their feet and dancing along with the smash hit songs. I was also particularly swept away by the distinct and flawless dance style of the Michael Jackson tribute dancer (I didn't get his name, unfortunately) who stole the show with his performance of Smooth Criminal and Thriller. 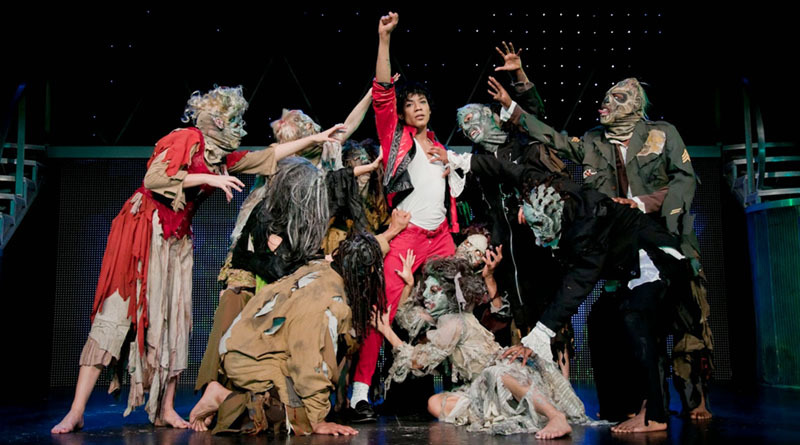 Thriller Live is an incredible night out that pays a great tribute to the King of Pop! and remembering all the fantastic things he contributed to both Dance and entertainment. The live performance is packed full of energy and great fun for everyone to enjoy. Thriller Live is performing in venues across the UK until July 2018, you can find and book tickets at your local theatre here. *Gifted press ticket in exchange for an honest review. All views are my own.